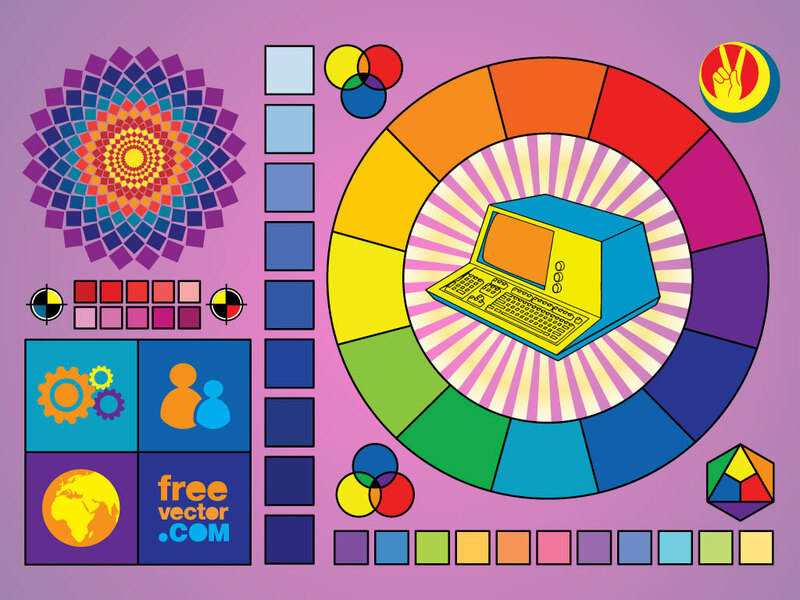 This vector pack comes with many different designers color aids and graphics. Features printers marks, color wheel, computer, color swatches and icons. Handy and useful graphics for your needs. Tags: Circle, Color, Colors, Computer, Elements, Icon, Palette, Pc.